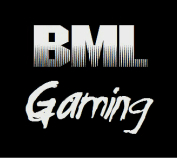 We are BML Gaming, the small group, soon to be company, that is has many projects in development for many different games. Who is apart of it? While there are over 100 members in the group, there are only a few who make up the game making studio. Cookiemonster 3000 - President of partnering studio "Toilet Head Studios"